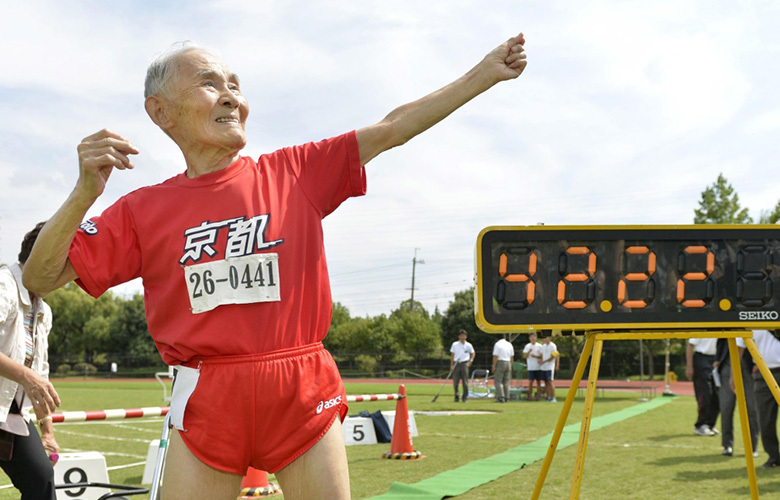 Hidekichi Miyazaki, 105-years young, set the new record as the world’s oldest competitive sprinter. The Japanese man ran a 100 meter-dash in 42.22 seconds at the Kyoto Masters. At the September 23 event, Miyazaki also competed in the shot-put. Miyazaki took up sprinting in his 90s. Until recently, he held the world record for the fastest 100-meter dash in the 100+ age group. Miyazaki’s daughter told CNN that he practices every day in the park near his house. He does a 100 meter run and practices the shot put three times during practice. Miyazaki told CNN he likes to pose in Usain Bolt’s trademark pose, “because it’s cool”. If you have another minute to spare, you should check out this hilarious article — Disorder in the Court. Took me one minute to read, and I laughed out loud 3 times.